To discuss the potential impact to the surrounding neighborhood and to hear community concerns, the City has scheduled a neighborhood meeting for October 16, 2014 at 7pm in Room 2A of City Hall. The City Council is also scheduled to have a work session on the matter on October 21, 2014. 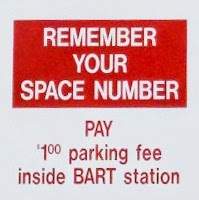 BART plans on issuing a bulletin at least 2-weeks in advance of when the fees will take effect.